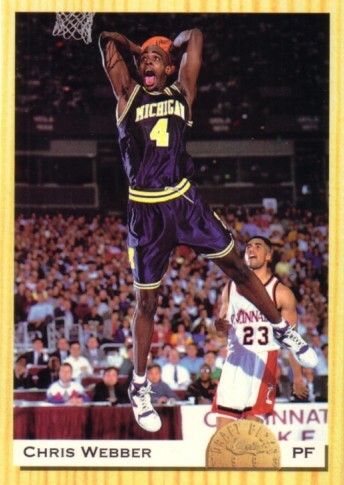 1993 Classic Draft Picks 3 1/2 by 5 inch jumbo box bottom card of former Michigan superstar Chris Webber. Back is blank. NrMt-Mt. ONLY ONE AVAILABLE FOR SALE.